17 Most Powerful Anti Inflammatory Foods, With Recipes! Many of us live with chronic, sustained inflammation in our bodies, and we often aren’t aware of it. Now, this is different than the kind of inflammation we see after an injury or infection. This is constant (and, in many cases daily) inflammation. And, chronic inflammation not only can lead to weight gain, but it can also destroy our bodies from the inside out. Currently, medical research links chronic inflammation to almost every chronic disease, from arthritis to heart disease to cancer. That’s why we see anti inflammatory foods and anti inflammatory diets popping up everywhere! There are several factors that contribute to chronic inflammation, but the foods we eat on a daily basis have a HUGE impact. 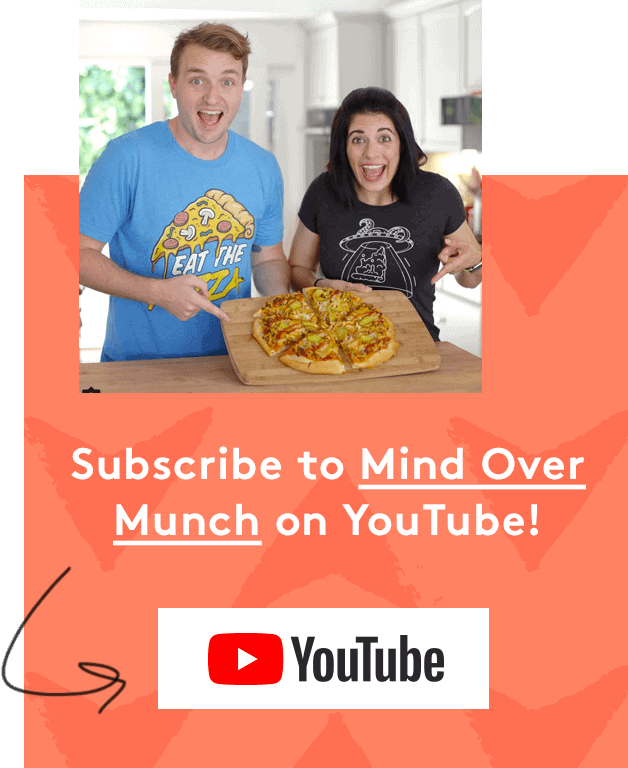 In Inflammatory Foods & Chronic Inflammation 101, I talked about chronic inflammation’s damaging effects and how we can reduce that inflammation. First, we have to identify sources of inflammation in our diets and gradually phase them out. But, as we remove those inflammatory foods, we need to start introducing anti inflammatory foods. 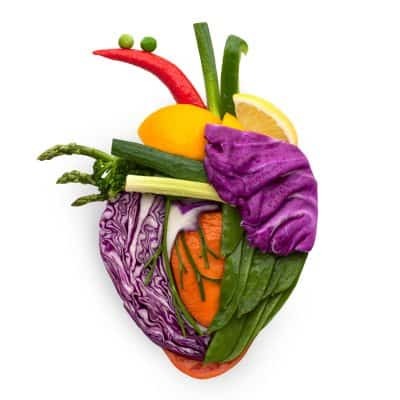 By filling up our diets with wholesome, anti inflammatory foods, we can fend off inflammation and help our bodies heal! What Are Anti Inflammatory Foods? Ironically, a healthy immune system launches an inflammatory response to protect and heal the body. But, when that inflammation happens all of the time, it weakens our immune system and harms our own bodies in the process. No wonder chronic inflammation is linked to so many scary diseases, like heart disease, obesity, diabetes, and cancer! And, if we eat inflammatory foods, we set off our immune system’s alarm every day. So, eating anti inflammatory foods is one of the most basic and effective ways to reduce inflammation in the body. They help to regulate our hyperactive immune system, so it can return to more normal functioning. And, anti inflammatory foods can help heal some of the damage done to the body by chronic inflammation. We just have to give our bodies the right FUEL to make that happen. But, it’s important to realize that no single food is responsible for our chronic inflammation. And, no single food will “cure” chronic inflammation. Your diet as a whole is what will worsen inflammation, or fight it off! Our bodies know how to process real foods that come from nature, and we need the nutrients in those foods. But, our bodies are not equipped to process the artificial, synthetic, or unnatural ingredients in many foods today. (And, those foods don’t provide us with any real fuel.) Thus, the body tries to protect us from those foreign substances we eat with inflammation. 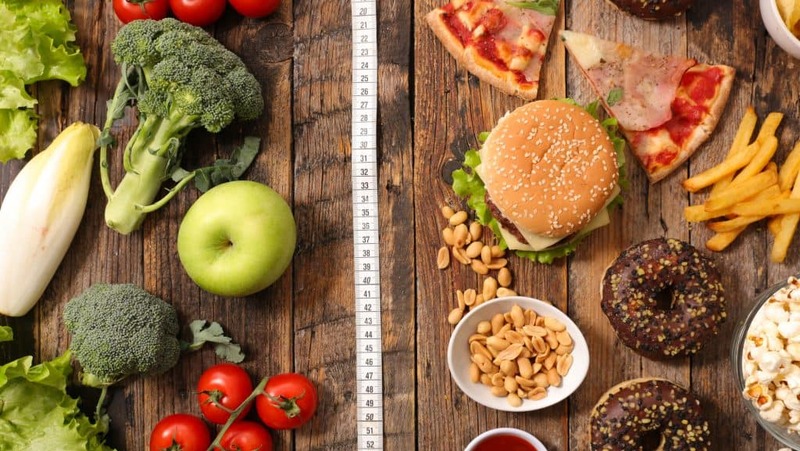 So, don’t overcomplicate it—eat less junk, eat more real food! 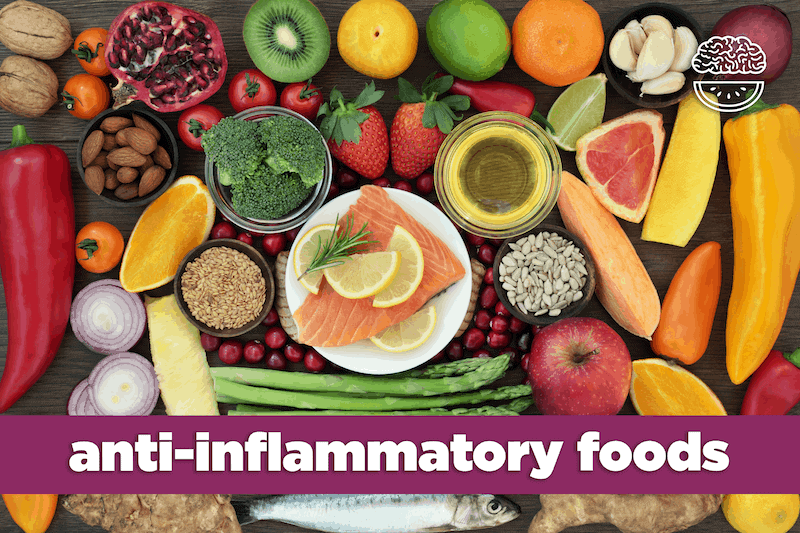 *These foods can have anti inflammatory benefits for some people, but they can also cause/worsen inflammation in people with sensitivities to them. Reducing inflammation can help with moving past a weight loss plateau, and lower our risk of chronic diseases later in life. And, if you’re living with a health condition like IBS, IBD, or leaky gut, you may even see your symptoms disappear as your body heals. Don’t underestimate the power of nutrition! Phase out the inflammatory foods, embrace the anti inflammatory foods, and experience the changes in your body and health. First, I have to say that many of these foods have well-studied anti inflammatory effects in the body. (You can read about some of them in the list below!) Garlic, onions, peppers, whole grains, yogurt—these can often fit well in some people’s anti inflammatory diets! But, they can also have a pro inflammatory effect in other people. Some people are gluten- or lactose-intolerant, others have food sensitivities to compounds in nightshade and allium vegetables. And, some of us have health conditions that increase our sensitivity. If you’re concerned about food sensitivities that you might have, trying an elimination diet can give you some insight. But, ALL of these foods have greater potential to cause inflammation if you’re living with digestive issues or an autoimmune disease. Especially if you have a digestion-related autoimmune disease (like IBD, Crohn’s, or ulcerative colitis), it’s best to steer clear of these foods. We all have different bodies and potential sensitivities, so there’s no black-and-white answer here. There’s SO much information to explain about food sensitivities that I decided they deserve their own blog post. So, if you want to know more, check out our post about Food Sensitivities & Autoimmune Diseases! What Makes Anti Inflammatory Foods Anti Inflammatory? Vitamins—essential nutrients that our bodies need to function, and many vitamins can function as antioxidants, like Vitamin C, A, and E.
Minerals—help the body carry out essential processes, like absorbing nutrients or flushing toxins. For example, we need calcium, but it can build up and drive inflammation unless there’s enough magnesium to process it. Sodium brings fluid and nutrients into the body, but we need enough potassium to flush out built-up toxins that can lead to inflammation. Dietary/Soluble Fiber—feeds healthy gut bacteria, which then break down our food into butyrate, a short-chain fatty acid that can reduce inflammation and insulin resistance. Fiber is a “non-essential” nutrient, because the body doesn’t absorb it or use it for energy. But, it plays a major and important role in our gut health and digestion! Natural chemicals in plant-based foods that aren’t necessary for survival, but can help fight off inflammation and disease. Polyphenols—compounds that help protect plants from things like infection or UV rays. Then, they become micronutrients in our food and protect our bodies in many ways, including lowering inflammation and preventing disease. Antioxidants—inhibit (anti-) oxidation (­-oxidants) in our bodies by neutralizing damaging free radicals. And, many also have an anti-inflammatory effect. LOTS of different vitamins, polyphenols, and phytonutrients can act as antioxidants, and there are many different classes of antioxidants. Flavonoids—the largest group of phytonutrients, with some of the most powerful antioxidant and anti-inflammatory effects (i.e. anthocyanins, quercetin, kaempferol, catechins, resveratrol). Carotenoids—pigments that give plants their red, orange, and yellow hues, and act as anti-inflammatory antioxidants in our bodies (i.e. alpha-carotene, beta-carotene, lutein, lycopene). Tannins—polyphenols that give many plants a darker, reddish color, as well as a sharp or tart taste (i.e. red grapes, cranberries, cocoa, darker teas, coffee, red wine). And, many tannins act as antioxidants! Organosulfur Compounds—organic compounds that contain sulfur, and have powerful antioxidant and anti inflammatory effects (i.e. sulforaphane, allicin). And, we can thank these compounds for giving some veggies (like broccoli, Brussels sprouts, and onions) their potent, stinky odor when cooked! Unlike pro inflammatory omega-6s, the long-chain omega-3s (EPA & DHA) REDUCE inflammation in the body and fight off disease. But, long-chain omega-3s are ONLY found in animal sources. Luckily, ALL kinds of fish and seafood contain the long-chain omega-3s! But, the BEST sources are fatty, oily fish—they’re high in omega-3s and low in omega-6s. 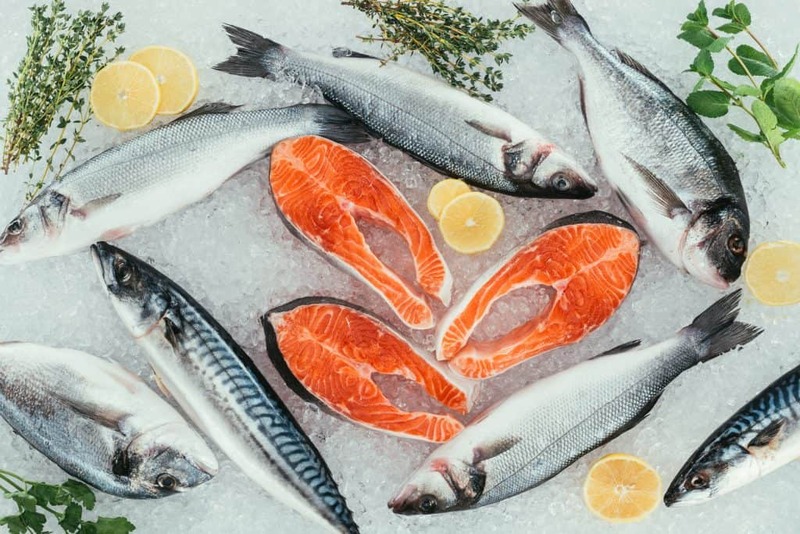 Now, farmed fish don’t have the same nutrients as wild-caught—they tend to have a higher content of inflammatory omega-6s. But, eating farm-raised salmon is still better than not eating it at all! Existing research confirms that EPA and DHA are 2 of the MOST potent anti-inflammatory substances on the planet. They can decrease symptoms of chronic inflammatory diseases, and even lower the need for anti inflammatory drugs like ibuprofen. And, from the TONS of studies on omega-3s, we know they can help prevent or reduce symptoms of: heart disease, diabetes, several forms of cancer, rheumatoid arthritis, inflammatory bowel disease, Alzheimer’s, depression and other mental health issues, and so much more. Recently, emerging evidence suggests omega-3s may also help prevent the onset of metabolic syndrome. Walnuts and certain seeds (like chia, flax, and hemp) contain high levels of short-chain omega-3s, known as ALA (alpha-linolenic acid). Then, ALA has to be converted to DHA or EPA to become active and anti inflammatory in the body. But, most (not all) of us aren’t very good at doing this. So, ALA can be anti inflammatory, but isn’t nearly as effective as DHA or EPA. 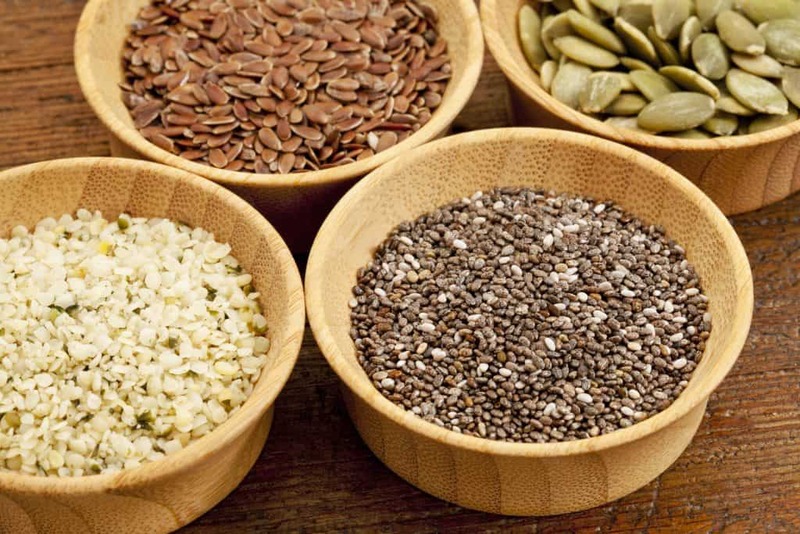 But, nuts and seeds contain lots of fiber and phytonutrients that can fight inflammation! *However, be cautious: some common nuts and seeds (like almonds, cashews, and sesame seeds) are high in inflammatory omega-6s! And, research links eating anti inflammatory, antioxidant-rich walnuts to a lowered risk of cardiovascular problems, type 2 diabetes, and even some cancers. Chia Seeds: Rich in phenolic acids and antioxidant vitamins A, B, D, & E, as well as toxin-flushing minerals like magnesium. In several studies, consuming chia seeds helped regulate cholesterol, lower blood pressure, and decreased inflammatory markers. And, they can also help stabilize blood sugar spikes, which reduces inflammation! Flaxseeds: Great source of fiber and polyphenols, which encourage the growth of good, anti inflammatory gut bacteria. And, of ALL foods on the planet, flaxseeds are the richest source of lignans—a phytochemical that contains soluble fiber and acts as an antioxidant! But, be sure to grind whole flaxseeds into a powder/meal before consuming to make them digestible! 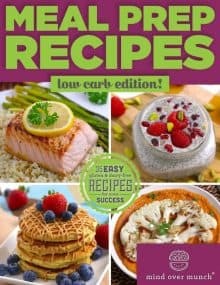 *From our new Meal Prep Recipes – Low Carb Edition eBook! Extra virgin olive oil (EVOO) contains monounsaturated fatty acids (MUFAs) like oleic acid, which can reduce inflammation. But, be careful not to cook EVOO at high temperatures—it has a low smoke point and can oxidize in high heat! Virgin coconut oil contains high levels of antioxidants, which can help fight inflammation and free radicals. 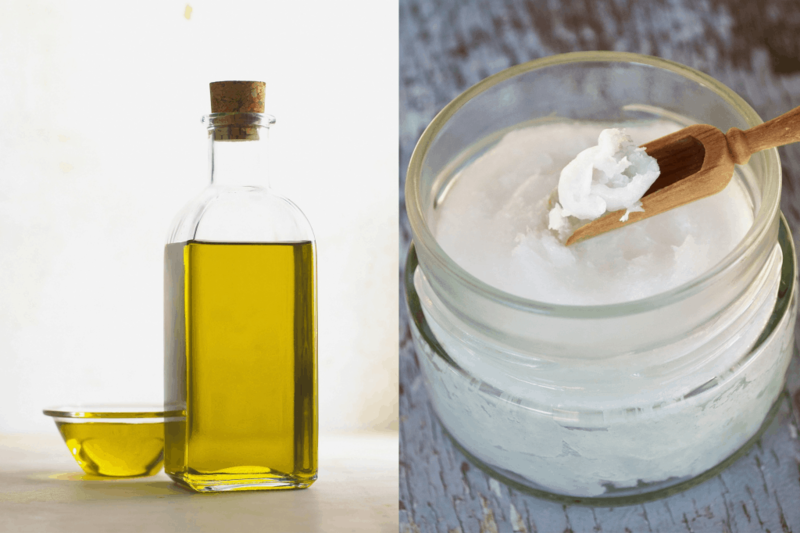 Plus, coconut oil can withstand higher-heat cooking! And, the fats in both of these oils can make certain nutrients, vitamins, and anti inflammatory compounds MORE available to the body. So, combining these oils with other anti inflammatory foods can increase their effect! A large body of research shows that extra virgin olive oil is a natural anti inflammatory that affects the body much like the anti-inflammatory drug ibuprofen! And, this powerful anti inflammatory effect makes EVOO a disease-preventing superfood. Studies link EVOO and oleocanthal with a lower risk of heart disease, Alzheimer’s, and several cancers. Also, several studies found that the antioxidants in virgin coconut oil significantly decreased inflammatory markers. And, it helped relieve symptoms of arthritis—better than some of the leading arthritis medications! All of these fruits are loaded with flavonoid antioxidants that can fend off disease. In particular, they’re great sources of anthocyanins, which are amazing at turning off the inflammatory response in the body. Blueberries are especially rich in anthocyanins, as well as quercetin—an antioxidant with a prominent anti inflammatory effect on our bodies. Also, berries and grapes contain resveratrol, a polyphenol which decreases inflammatory free radicals. Red grapes are one of the best sources of resveratrol because it’s found in their skin! Cherries are also a good source of anthocyanins, as well as catechins, another anti-inflammatory antioxidant. And, all of these fruits provide tons of vitamin C, which supports a healthy immune system and acts as an inflammation-fighting antioxidant! 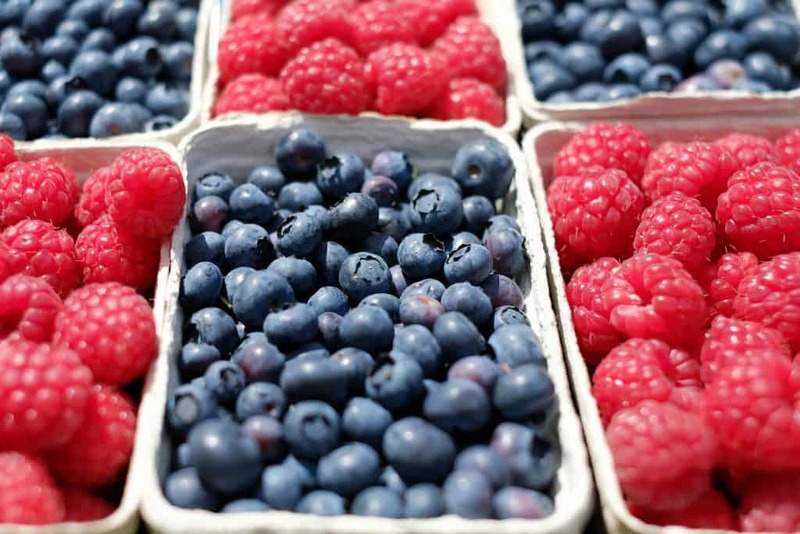 In the wealth of research on the topic, it’s clear that blueberries, strawberries, raspberries, and most berries in general are powerful anti inflammatory foods. Because of their incredible antioxidant content, they help fight off inflammation and protect us from serious diseases like cancer and heart disease! In particular, there’s evidence that shows eating blueberries can fend off inflammation from IBD. And, their antioxidant and inflammation-reducing effects may even slow cognitive decline as we age! Similarly, studies show that both tart and sweet cherries can reduce markers of chronic inflammation. And, the antioxidants in cherries can have a lasting effect, helping to keep inflammation at bay even if we don’t eat them every day! The resveratrol in grapes has shown to decrease inflammation in people with coronary artery disease. And, eating grapes may even protect against the development of some other cardiovascular issues. And, they’re also famous for their ability to lower cancer risk! Cruciferous veggies contain cancer-fighting glucosinolates, which may also prevent excess inflammation. Many of these vegetables are also high in vitamin K, which can help regulate our inflammatory response. And, they’re rich in toxin-flushing potassium and magnesium. 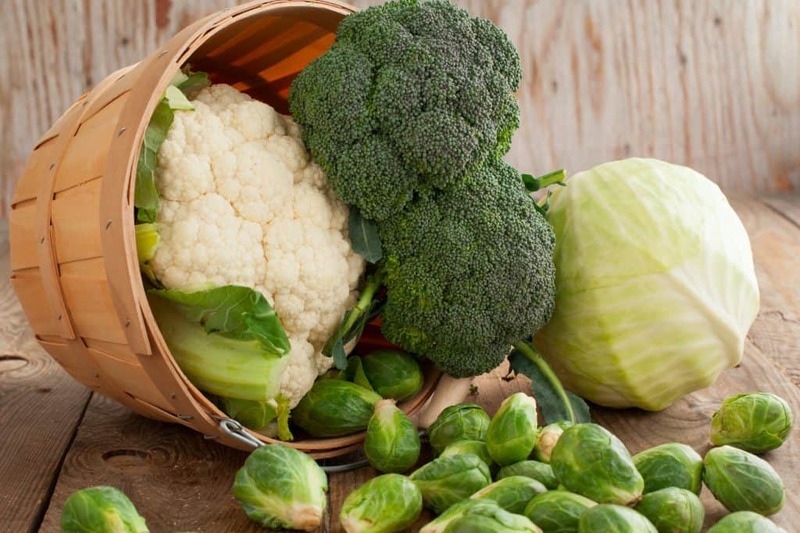 Plus, cruciferous vegetables contain inflammation-fighting flavonoids and carotenoids. This combination of vitamins, minerals, antioxidants, and fiber makes cruciferous veggies superstar anti inflammatory foods! Loads of research links eating cruciferous vegetables with a lower risk of heart disease and cancer! And, studies looking at sulforaphane in cruciferous veggies found that it can protect against inflammation, as well as oxidative stress caused by free radicals. In particular, sulforaphane may help reduce inflammation associated with Crohn’s disease. Leafy greens are chock-full of ALL kinds of antioxidants that fight inflammation: vitamins A, C, and K, along with flavonoids. Plus, those antioxidants protect us from free-radical damage in the body! Specifically, spinach is one of the richest sources of two flavonoids with powerful anti-inflammatory effects: quercetin and kaempferol. And, dark greens and cruciferous veggies tend to have a higher concentration of nutrients and phytochemicals than veggies with lighter leaves. In particular, spinach, Swiss chard, and kale also bring loads of carotenoids and tocopherols (found in vitamin E) into the mix! 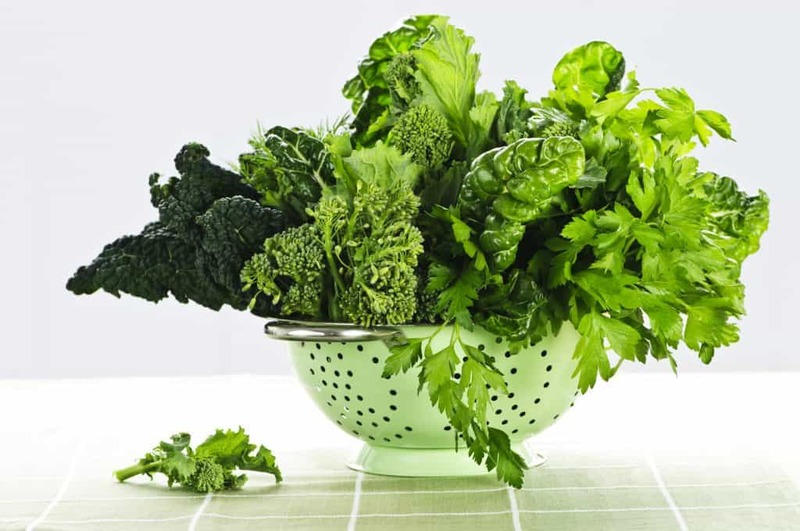 Their many vitamins and antioxidants make these dark greens some of the most powerful anti-inflammatory foods. Dark leafy greens (especially spinach) have some of the highest concentrations of kaempferol, which research links to preventing the development of cancer! Also, tocopherols have numerous researched health benefits. They can decrease inflammation in people with cardiovascular issues or excess belly fat, and even protect against cancer! Like olive oil, avocados are rich in heart-healthy and anti inflammatory monounsaturated fats! Plus, their high fiber content helps feed our good gut bacteria, and they’re loaded with potassium and magnesium to help flush out inflammation-causing toxins. 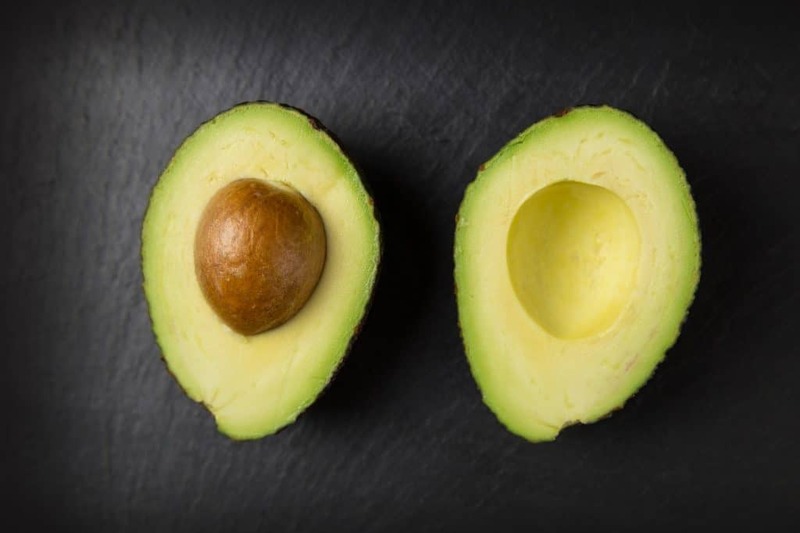 Avocados also contain loads of anti inflammatory antioxidants—carotenoids and tocopherols (found in vitamin E)—which are also linked to a reduced cancer risk! Several studies have shown the power of avocado’s antioxidants. Carotenoids can lower breast cancer risk, and tocopherols can lower prostate cancer risk! In one study, just adding a small portion of avocado to a hamburger lowered markers of inflammation after eating! And, another study found that a natural sugar present in avocados can prevent inflammation! Tomatoes are an awesome source of vitamin C, which acts as an antioxidant and anti inflammatory. Plus, they’re rich potassium, which flushes toxins from the body and helps regulate blood pressure. Most notably, tomatoes (especially when cooked) and tomato juice are rich in the antioxidant lycopene. It protects the brain, and even fights inflammation that can cause depression! Lycopene exists in tomato skin, so cherry tomatoes will have more than full-sized. Bell peppers (especially the red ones) also contain loads of vitamin C and inflammation-fighting antioxidants, like beta-carotene, quercetin, and luteolin! Chili peppers contain sinapic acid and ferulic acid, both of which work to reduce inflammation and oxidative stress in the body. And, hot chili peppers contain capsaicinoids, which give them their spicy taste and can also fight inflammation! Several studies show that lycopene reduces inflammatory markers in the body, and lowers the risk of many chronic diseases. In particular, lycopene proves effective at preventing the development and growth of some cancers! And, although lycopene supplements are out there, research shows that eating actual tomatoes or drinking tomato juice are far more effective at fighting inflammation! 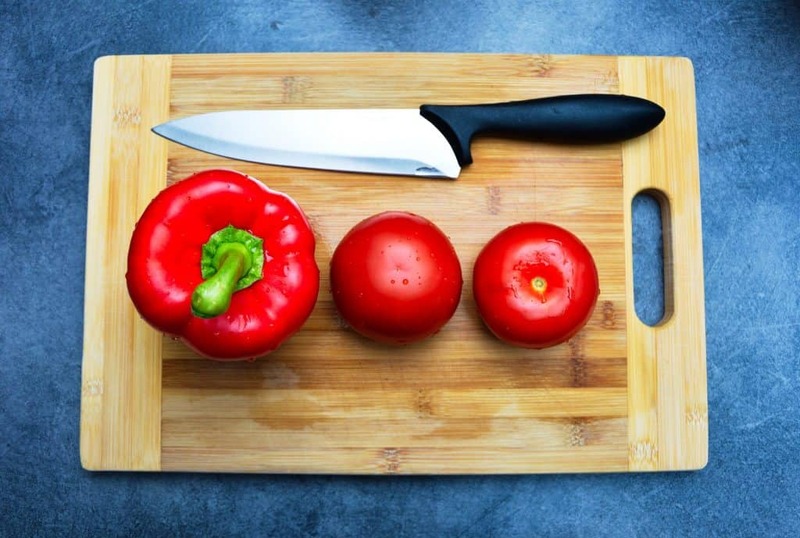 Research shows that the antioxidants in peppers can fight inflammation, and even protect important anti inflammatory compounds in the body, like DHA. Allium vegetables contain allicin, an organosulfur compound that has an anti inflammatory effect and can help fight cancer. And, allicin can help prevent colds by bolstering our immune system! In addition, the many flavonoids in garlic, onions, and other allium vegetables help fight off inflammation and free radicals. For the most powerful allicin effect, look for an aged garlic extract But, you can still reap some benefits from fresh garlic—just be sure to crush it to make the allicin more available to your body! *NOTE: Some people (especially those with digestive issues like IBS) may experience food sensitivities with allium vegetables. 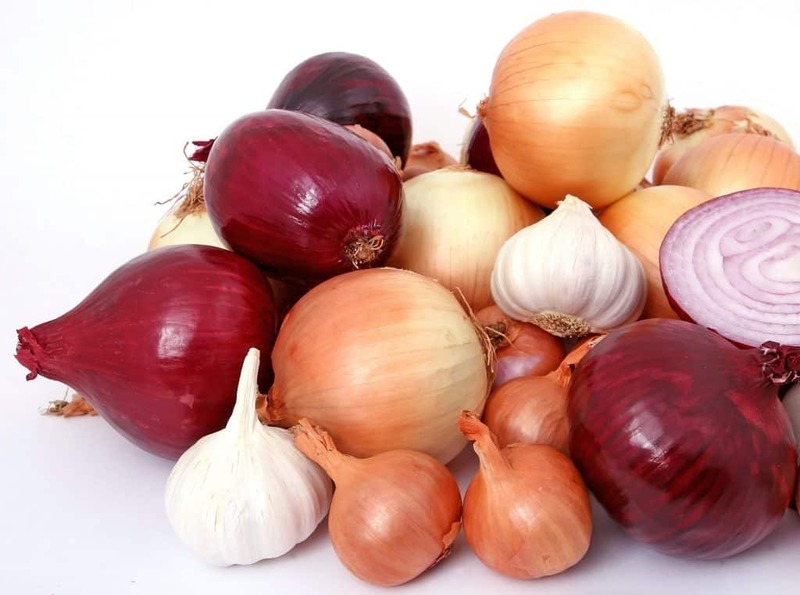 But, garlic and onions tend to be in so many dishes, it can be hard to tell! Existing research shows that garlic stimulates anti inflammatory proteins in our body, while also suppressing markers of chronic inflammation. And, because garlic reduces inflammatory markers related to cancer, many studies suggest it may help prevent cancer! Specifically, in one study, researchers found that higher consumption of garlic and leeks was associated with a lower risk of breast cancer! Turmeric contains the antioxidant curcumin, which gives the powder it’s vibrant, yellow color. (And, so does curry powder, because it’s a spice blend that contains turmeric!) But, it’s not just a powerful antioxidant—it’s also one of the MOST powerful anti inflammatories in the world! But, since it’s hard to get a significant amount of curcumin just by using turmeric in cooking, pair it with some black pepper. The piperine in black pepper improves your body’s absorption of curcumin! Ginger contains antioxidants known as gingerols, which are anti inflammatory, antibacterial, and anti-disease! Because of those gingerols, it can help cleanse the body of toxins, boost our immune system and regulate our inflammatory response! For the most powerful effect, find a way to incorporate fresh ginger into your diet—like steeping it to make ginger tea! Black pepper contains piperine, which helps fight acute inflammation (like from an injury). And, piperine can actually increase the potency of other anti inflammatory foods! Pair black pepper with turmeric, and the piperine will improve your body’s absorption of the curcumin! Like other hot chili peppers, cayenne’s spiciness comes from capsaicinoids—which can also fight inflammation! The flavonoid that gives cinnamon its flavor and smell, cinnamaldehyde, can prevent and reduce inflammation in the body. There’s evidence that the curcumin in turmeric reduces inflammatory markers, and can help relieve symptoms of rheumatoid arthritis. Plus, it may also help slow cognitive decline with aging and prevent heart disease! Several studies show that ginger extract can reduce inflammation, ease arthritis pain, and lower the risk of cancer! 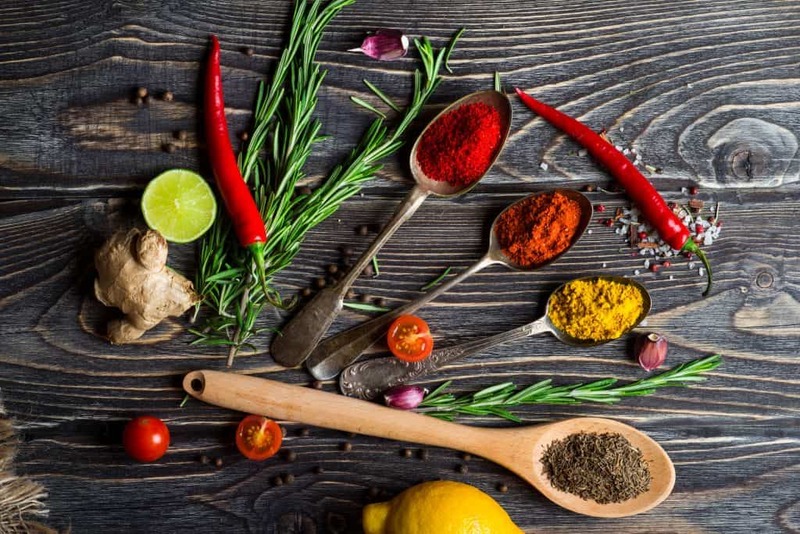 Although it’s not as strong as turmeric or ginger, studies on rosemary and rosemary extract reveal it can also have a significant anti inflammatory effect. The leaves of tea plants contain catechins, which are incredible antioxidants that also reduce inflammation. In particular, EGCG is the most powerful of all the catechins, and it’s pretty much ONLY found in green teas. And, that EGCG combined with the loads of flavonoids in green tea make it the most potent anti inflammatory tea you can drink! One study found that both green and black tea extracts have anti inflammatory effects, but green tea was more active than black. And, there’s TONS of research that associates the catechins in green tea (EGCG) with a lower risk of chronic diseases. 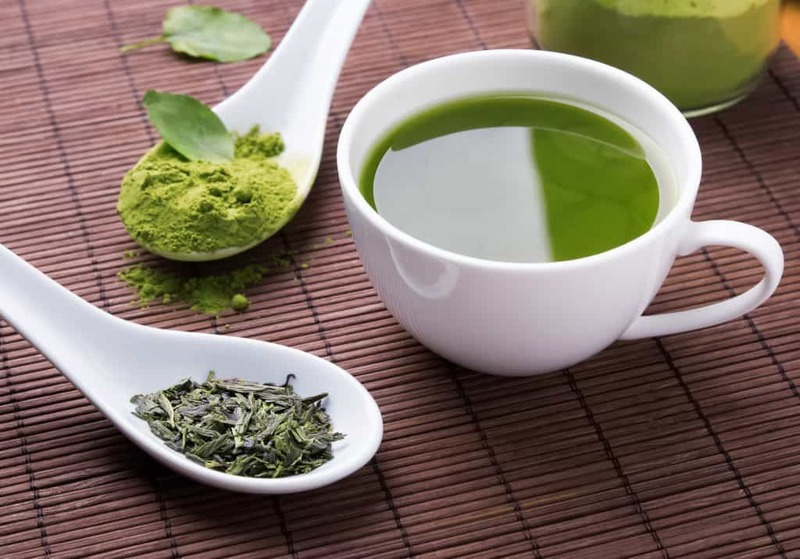 In fact, some researchers theorize that increased green tea consumption in parts of Asia contributes to lower risk of heart disease, neurodegenerative diseases, and cancer. The betalain pigments that make beets purple are also highly potent anti inflammatories. Pineapple is a great source of bromelain, an inflammation-fighting enzyme that’s been used for years as an anti inflammatory medicine. But, as always in nutrition, remember that we’re all different. Our bodies, genetics, health history, diet history—SO many factors vary from person to person. So, even though these foods have well-studied anti inflammatory effects in the body, some of them might not sit well with your body. As you phase out inflammatory foods and fill your diet with more anti inflammatory foods, pay attention to how your body feels. And, try to view the transition as a process. It will take some trial and error to find what works best for YOU and your health! 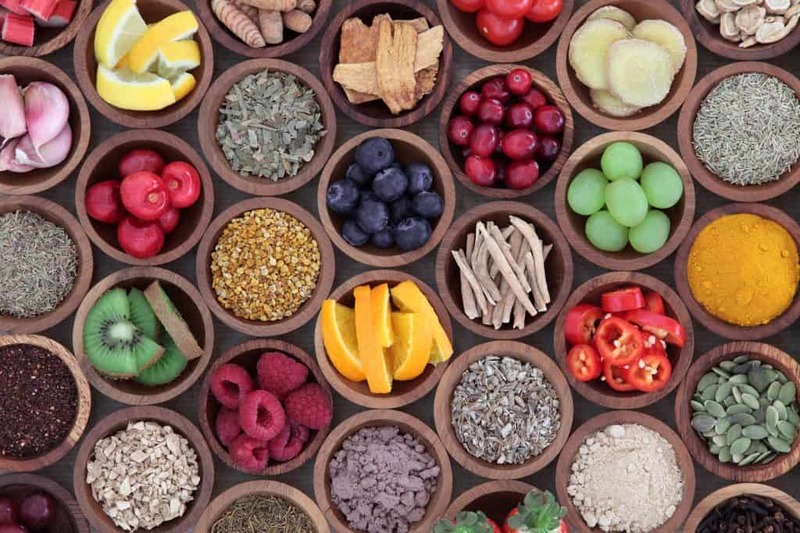 Starting a healthy diet is one thing, but how do we stick with it? 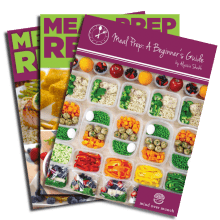 Make things EASIER on yourself with meal prep! It’s simple: if we have healthy food prepped, we’re more likely to eat it! 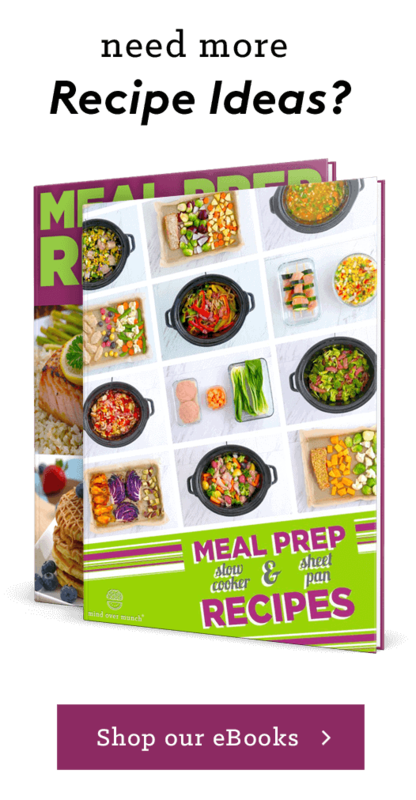 And, you can create endless, tasty meal prep combinations with Meal Prep Recipes – Vegetarian Edition and Low Carb Edition! 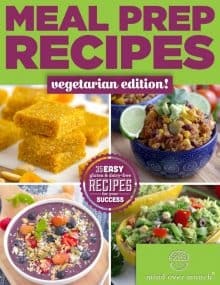 Vegetarian Meal Prep Recipes for Breakfast Lunch & Dinner!